I used the Rodial Brazillian Tan than came in this montsh ELLE UK and really didnt rate it at all! Maybe im using it wrong but it did nothing for me and im naturally pale! I love St Moriz...wonderfully cheap! What do you think of it? I usually do some sort of face mask or have a bath with a LUSH bath bomb when I'm feeling stressed. That scrub sounds like it smells delicious... I'm such a sucker for tropical scents! I am loving the REN Guérande salt scrub but this one sounds lovely as well. Staycation for me as well and sadly, not half as much sun as you have in Dubaï, so I'm boosting my mood with some fake tan and bronzer, and the Caudalie Jambes Divines on the legs so they're not fluoro white. The Nuxe oil is also a great pick me up (not the gold one though) as it smells eoxotic, makes my skin so smooth and gives it a lovely sheen. I find hard liquor to be the best pick me up, but that's just me. 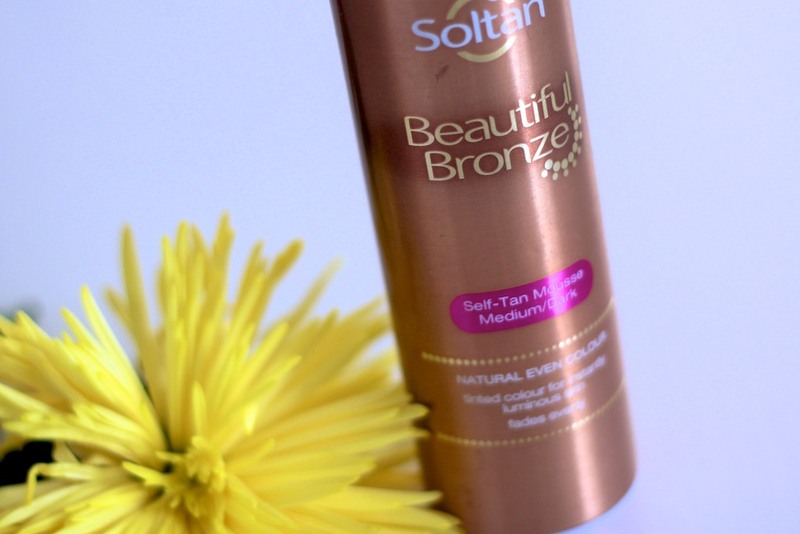 Ooh I wonder if I can get Soltan in the U.S. My skin is quite reminiscent of a corpse so I need all the faux tan help I can get! I was all about the St Tropez mousse, but that is starting to look really patchy! 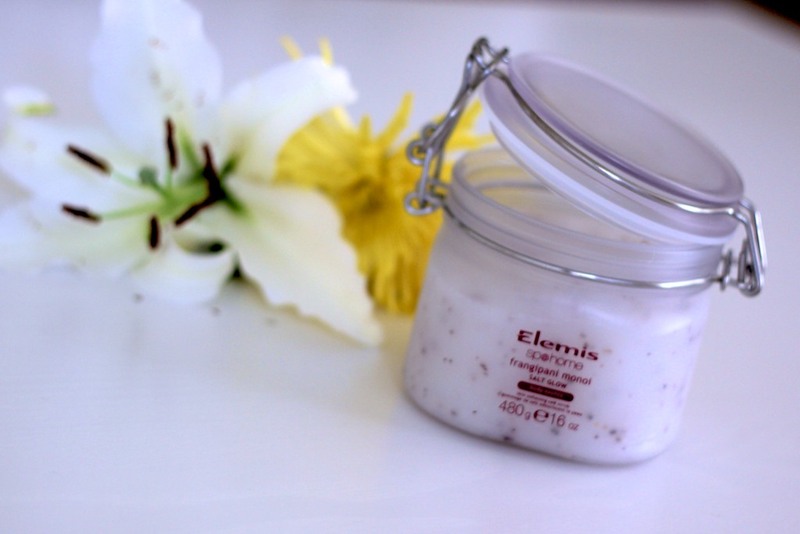 The Frangipani Monoi moisture melt is one of my favourite things in the whole world! The smell is just ...*shiver* I built my morning routine onmy wedding day around this so I could ensure it would be forever special. I feel your pain Laura, making the move from Abu Dhabi to Dubai in a couple of months and looking forward to it like a hole in the head! Oh I've been looking for a lovely salt scrub, I was thinking of getting the Dirt Sow+Reap Lemon Leaf one, but this is looking like a good option too. Elemis products are so good! My little pick me up at the moment is the new Caudalie Divine Legs... It gives an instant glow and washes off at night! Good luck with the move, exciting but not fun! Oooh I usually steer clear of drugstore self tans but I might give this one a try! This looks good, I may give this a try! I have that fake tan!! I love it, it's so nice on the build up to summer!! I am dying to try the Elemis Frangipani Monoi Salt Glow scrub for the very fact that I ADORE the Elemis frangipani scent, it's seriously like nothing else I've ever smelt. Pop them in the fridge for a few minutes and a nice cooling mask will boost your mood up a notch. That and a glass of wine of course. I want to try that salt scrub!